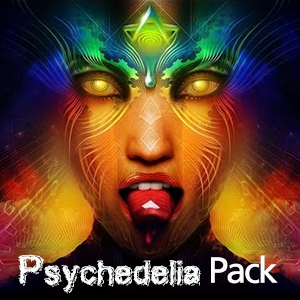 Details: The Psychedelia pack is for those that have already tried our classic hallucinogen or psychedelic doses and are willing to try something a little more pure and refined. Includes DiPT, LSA, MDEA, MDA. Maybe you have become accustomed to some of our other chem-form doses like Molly or LSD and want to experience something down the same path, but with wonderful complexity. If you have already been able to achieve open or closed eye visuals, or want to attempt next-level sessions, this pack may be a great next step in binaural exploration.